Russian President Vladimir Putin is rejecting claims that his country is behind any U.S. election-related hacking, saying "hysteria" is fueling the allegations. "This has nothing to do with Russia's interests," he said on Wednesday at an investors conference in Moscow. Putin made the comments after the U.S. publicly blamed the Russian government last Friday for hacking U.S. officials and political groups in an effort to influence the upcoming presidential election. Stolen documents from those hacks, including sensitive emails, have been leaking online over the past months, potentially hurting the election chances of Democratic presidential candidate Hillary Clinton. 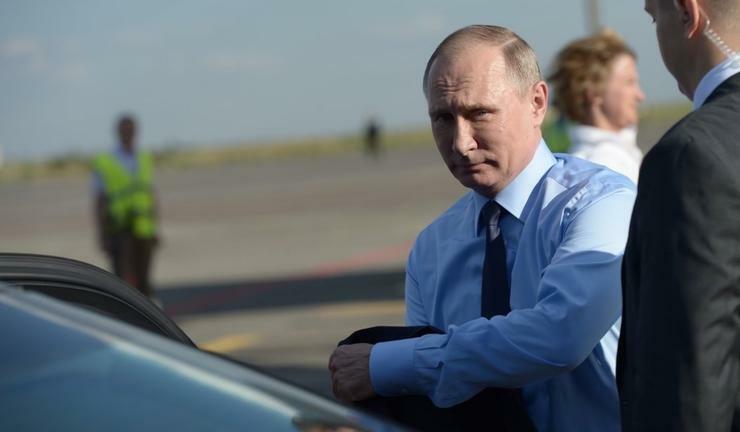 Putin, however, said the claims of Russian involvement are merely a distraction. "Hysteria is evoked only to divert attention of the American public from the nature of the information that the hackers posted," Putin said in taped comments. Among the sites posting the stolen documents include WikiLeaks, which claims to have obtained 50,000 emails from a Clinton aide, some of which are already producing negative media headlines for her campaign. "No matter what the [election] result is, we will work with any leader of the United States," Putin said. U.S. relations between Russia, however, could grow even more hostile in the near term. On Tuesday, the White House said President Barack Obama will consider a "proportional response" to Russia's alleged involvement in the hacking. Although the White House declined to provide specifics, it's possible the U.S. could use economic sanctions, issue indictments against suspected Russian cybercriminals, or launch retaliatory cyberattacks against the country. "It is unlikely that our response would be announced in advance," White House press secretary Josh Earnest said on Tuesday. However, Russian foreign minister Sergey Lavrov contends that the U.S. still hasn't produced any proof of his country's involvement in the hacking. "If they decide to do something, let them do it," he said in an interview with CNN. Paying the WannaCry ransom will probably get you nothing. Here's why.